It is desirable to have axons that have high propagation velocities because there is great survival value to rapid information transmission. 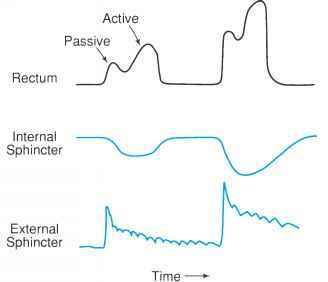 For example, to initiate a motor response to some noxious stimulus, such as touching a hot stove, action potentials must propagate rapidly along sensory and motor axons. Given that the propagation velocity can be described in terms of the physical properties of nerve axons, we can begin to examine strategies used by the nervous system to endow axons with high propagation velocities. One of the simplest and most obvious ways of doing this is to increase the diameter of the axon. By increasing the diameter, the propagation velocity is increased. This is exactly the strategy that has been used extensively by many invertebrate axons, of which the squid giant axon is the prime example. The giant squid axon has a diameter of about 1 mm, which endows it with perhaps the highest propagation velocity of any invertebrate axon. A severe price is paid, however, when the propagation velocity is increased in this way. The key to understanding this problem is the square root relationship in the formula for propagation velocity. The square root relationship requires that to double the propagation velocity the fiber diameter must be quadrupled. To get moderate increases in propagation velocity, therefore, one has to increase axons to very large diameters. Although this is frequently observed in invertebrates, it is not generally used in the vertebrate central nervous system. For example, it is known that the propagation velocity of axons in the optic tract is about the same as that of the squid giant axon. If all the axons in the optic tract were the size of the squid giant axon, however, the optic tract by itself would take up the space of the entire brain.